Nintendo has confirmed that it plans to "boost the appeal" of its Nintendo Switch Online service going forward, with more details set to be announced when the company is ready. The news comes from a financial briefing Q+A, where Nintendo president Shuntaro Furukawa has spoken about the service's early success and how it will evolve in the future. It was recently confirmed that more than 8 million accounts had subscribed to the service, although it has now been revealed that more and more customers are choosing to opt for short subscription plans, rather than the longer 12-month option. Furukawa: "We do think Nintendo Switch Online has had a good start coming out of the holiday season, helped in large part by Super Smash Bros. Ultimate. We are not disclosing details by each membership plan but among consumers who have purchased memberships, however, a growing percentage is now opting for shorter plans like the one-month membership. This is in contrast to the situation around the end of October of last year, when we reported that over half were opting for a 12-month family or individual membership." 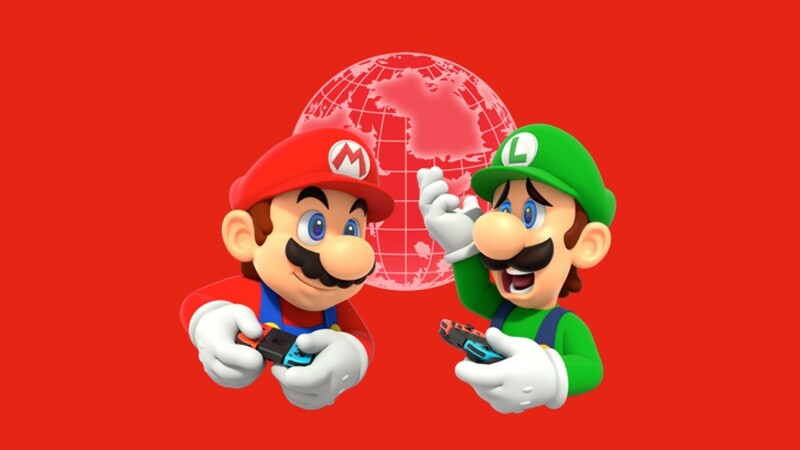 To combat this change, and in hopes to "build relationships with consumers and enrich the [service's] content", Furukawa notes that Nintendo is "planning ways to boost the appeal of the service on a yearly basis", with announcements to follow. Nintendo Director and Senior Managing Executive Officer, Shinya Takahashi, also commented on the matter, saying that "we are preparing various new offerings for consumers who subscribe to the service". Do you think the Nintendo Switch Online service needs to improve as time goes on? What do you think would make the service be the best that it can be? Share your thoughts below. "planning ways to boost the appeal of the service on a yearly basis"
And I guess "Best foot forward" slipped their vocabulary. Well, an actual Virtual Console would be nice. You know, with N64 and GBA games as a start. Modern online service features would also "boost the appeal" of their crap online. Give us more classic consoles and those promised special offers. Offering NES games only is certainly not a great idea to boost anything! They could offer SNES and 64 games for those people that are on longer term plans. Personally I subscribed for one year plan but I regret it as not used it as much as I expected and didn't even touched the NES games app. well i mean.. the bar is set really really low. so i guess it can only really be improved. Called it, Snes, N64 , and Gameboy each continuing year a new retro catalogue. Other than cloud storage and NES/Famicom titles, I have barely used the Online service. And yet, I am perfectly fine with the $20 I spent. Give us games that aren’t 30 years old. That might help. Well, for gamers like myself who don't really game online, I only got the service for the classics.....and, in all honesty, I'm pretty disappointed so far. It's their console, but SNK, Sega, whoever owns the license to the Data East games, Capcom, and so forth are lapping them when it comes to classic content, and there is actually a sense of ownership with those games. Also, it's ridiculous that, a mere three months in and they've already reduced the meager drip-feed from three to two titles a month? Seriously? It's somewhat of an insult that Japan is still getting three! I may be in the minority, but I wouldn't be opposed to paying $35-$40 a year for a robust service that offered a vast variety of titles from the NES-Gamecube era, including their handheld libraries. "more and more"? That's exactly what I would expect. Anyone opting for annual would most likely have done it in September, and those signing up now are likely to be more on-the-fence. Give us an actual Virtual Console. I don't care if it's individual system-based apps or they consolidate the NES app in to a large Virtual Console all-in-one app, but just focusing on NES games is a bit of a downer. I grew up in the 90s and the SNES was hugely influential on me and my friends, as was the N64. These are the games I want, and throw in GameCube games and you've got a real winner. Most of us have played the NES games to death on either original systems or the Wii/Wii U/3DS Virtual Consoles (or those NES re-releases on GBA). It's time for Nintendo to give its other retro consoles some love. They promised special deal like PS+ Sales and Xbox Live Gold sales and so far we have the NES classic controller on sale...still..since launch. Even on the site right now it shows "Exclusive offers only for subscribers" that hasn't changes since day one. NES controllers (at full price) and Splatoon Gear....ooooo exciting. If they offered deals on 1st party games for signing up for a year i would have that on automatic renewal no problem. Two or three NES games a month won't cut it. Not especially when ROMs are prevalent and people want to purchase the games to keep beyond a certain window. As for the actual online service, it makes sense that people will pay for the amount of time they will actually use, if you're only going to play Smash Bros for one month, there you go. Two retro consoles a year and more than two games a month would singlehandedly turn the tables on both the service and its reputation among the Nintendo fanbase, let alone the feedback going from backdraft all the way up to glowing praise. So of course it's not going to happen. All I need is A Link to the Past on Switch to make it officially the greatest online service and greatest console ever created. I'm afraid Hazelnut Bastille will be already out by then, though. I'm 100% the target audience for their service. I bought the NES controllers, love the NES games nostalgia but I can easily recognize that I'm paying for nearly nothing. On those one-off times I do play online, I would like to be able to send a message to a friend to play, voice chat with them. Where are the upgrades to the phone app? The shock and awe of the switch is wearing thin after 2 years. It's still a great system but they need to keep the pace up. How can Nintendo be so bad at this, console generation after generation? Literally just mirror what Xbox Live is doing. All of it. The subscriptions will come flooding in. Do you think the Nintendo Switch Online service needs to improve as time goes on? I was paying monthly during the initial launch period to see how it went. I played smash online once and I've let the service lapse. Its just not good enough even for the cost it is. NES games just don't do it for me. Especially when I have them on the wii, Wii u and 3ds. @AlexSora89 Hazelnut Bastille does look amazing, but nothing can beat my nostalgia for ALttP. Besides, can't really say Hazelnut Bastille will be better than ALttP until it actually comes out. I wonder where all the “it’s just 20 bucks” commenters went. How about giving us a connection that isn't on par with a flash game? That'll be a good start. Let me play classic games online with randos. @Bliquid They must've died out, either that or they have yet to appear . They should give us a full-on Virtual Console with NES, SNES, N64, and GameCube games. Seriously, the GameCube is already old at this point and so is the Wii. Their games need to be on the Switch now. I mean Nintendo were lazy in bringing GameCube games on Wii U. Reggie promised that GameCube games would be on Wii U but it never happened. It is a simple concept. Ooh ooh I know I know pick me, pick me! Include the cost of the online in the price of the game. ie no additional charge, b/c WE'RE ALREADY PAYING FOR ONLINE THROUGH OUR INTERNET PROVIDER. Yet to procure as yet to see a need. Yes its affordable but Nintendo has got to stop its obsession with NES games. Once SNES comes on I’ll sign up just for that. Also as already said, where are the membership deals? I know how they can make it better. Offer more than NES games. I bought the yearly membership when the service launched, the NES controllers, and largely took a "wait and see" approach to Nintendo's longer-term plans for the service. While I am completely sick of the overreaction from fans and the constant, repetitious NL articles like this, asking "for our thoughts" (which are always the same litany of emulation demands), I am growing frustrated with Nintendo's lack of movement in improving the service, or even special offers. 2 NES games a month is not good enough, as others have said, but there is a larger problem at Nintendo. This "drip-feed" of content seems to apply to their software development for the Switch as well. Are they short staffed? Clearly modern games require longer dev time, larger budgets and staffing resources, but they have a genuine opportunity to take the brilliant concept of the Switch to the next level, and I am hoping they don't rest on their laurels. I don't believe that Nintendo should just blindly throw free IP at their fans, but there are plenty of tiered options they could explore (and very well may be), but they are losing the PR battle on this one. I hope they can turn it around and realize that what they are currently doing is not going to hold the community's long-term interest in the service. Maybe, just maybe, they could boost the appeal of the Online service by providing a better online service. Maybe, for example, their flagship online game could support cloud saves. Fair enough. We'll wait. To me, it's the same conflict between Chicken Wiggle and Super Mario Maker. If CW comes out first or is the only one of the two to come out, it's gonna get day-one bucks from me. Same story for Hazelnut. At a snail's pace, but yes, sure. I have not subscribed, and really see not reason to at this point. Cloud saves (which should not be behind a pay wall to begin with) and two 35 year old games a month is not enough for me to pay for another monthly/yearly service. Thank you for saving me the time in writing, spot on. Honestly, man, at this point even SNES games are old hat. I mean, they've been offered since 2006, and they've been made available on Wii, Wii U, 3DS, through the SNES Classic. You can even get some SNES games on PS4/Vita (Super Star Wars, Empire, etc.). It is time for the next generation: Negotiate a deal with your new buddies at Microsoft to secure the licenses to NES-64 era Rare titles (give me the means to play Wizards and Warriors, RC Pro Am, etc. again), release Gamecube titles, GBA, DS, and even oddities like Satellaview and N64DD titles! I like how Nintendo pretends this is some kind of FRIGGING rocket science. Maybe, I don't know, start providing more than 2 NES games per month? Maybe open the floodgates with SNES games as well (at least). Add some better online systemwide features, such as basic communication between switches and players? @UmbreonsPapa what's sad is i forgot special offers were even a thing. Aside from the nes controllers, there hasn't been any special offers for subscribers in nearly 6 months. I haven't thought about it until now but that's terrible. Maybe this action is a good thing, the customers are forcing Nintendo to make their service better. @AlexSora89 I get that, I understand not everyone has the same rabid nostalgia for ALttP as I do! I'll most likely be there day 1 for Hazelnut Bastille though, it looks like the best ALttP successor since A Link Between Worlds. Simple: let us download and keep the legacy games with or without a membership. They can still keep new games coming, incentivizing more subscriptions, and we get to play the games as long as our Switches work. Do that and I'll pay the membership fee every year as long as it exists. I love (read: hate) how Netflix has convinced everyone this is how subscription services work. As far as I remember, Nintendo Power didn't force me to mail back all of my magazines after my membership lapsed. Give us SNES, GB(C) and GBA games too and everything is fine. Errr, do what every other platform does. Get 3rd party to Release more games worth playing online. And Get rid of the phone App chat nonsense. I found out about my cousins promotion in Spain while playing The Division with him from NY. I learn about my niece day at school (4 states away) by chatting as we run around in Minecraft. Handing out 30 year old games can't even sell the $19 a year service. Did they really demand money first before planning how to make it worth in long term? They didn´t change anything yet with online infrastructure, stabilities and servers, but demand money for online play now. What did they expect? @BoilerBroJoe People are certainly welcome to their opinions of subscription models, but this is a bad analogy. A magazine subscription is still a price-per-issue payment, and is advertised as such. You're still buying individual magazines, but at a bulk discount. Netflix is all-you-can-watch, which is a fundamentally different idea. You aren't paying for individual movies — it's a set cost no matter how much you stream. Comparing the two is apples-and-oranges. There's a lot to hate about the Online service, but my biggest gripe is with cloud saves. Perfectly fine to have them, but how dare they make it the only way to backup your saves. I should be able to physically save them somewhere too. What's worse is that it doesn't even apply to all the games anyway. If my Switch falls in a lake, I can kiss 300+ hours of Splatoon 2 progress goodbye. I know they're trying to prevent cheating with that last point, but god, at what cost. It's simply madness. Release the entire catalog of games that are currently available on the Wii U and 3DS virtual consoles. At this point, there's no logical reason not to. How about giving it some actual value instead of locking away multiplayer and cloud saves? They won't get what they want by offering customers 2 or 3 NES games a month. Either change ways or forget about "dreams" of big numbers. Meanwhile they can’t figure out what to do when they pick Japan only NES games and instead choose to remove value. £20 for backups is good value considering the hours I’ve invested in several of the ‘big’ games... I view the NES stuff as a bonus... hope the SNES is added this year! How often in your life did you lost game profiles and save games and if yes, how much did you care? I play for nearly 30 years now and just lost save games once. And I cared about it just once. And just played the game again instead of crying about the loss. IMO people do make too much noise about save game backups in relation to the chance that they really lose it or that they really care that much. Improving yearly? And what do we do in the meantime? Nintendo I am getting fed up. The Switch had a great start and then fell off year two. Are we really supposed to sit around keep playing Breath of the Wild or Mario Oddessy for 3 years? How many times do we replay Monster Hunter Generations? Monster Hunter was ported from Wii U and 3DS. Generations pales in comparison to World. How is Generations Ultimate newer? Can't Nintendo think of new ideas anymore? A system should have new top games frequently. It's feeling like WiiU all over again. Maybe, the Switch came out to soon. If it did not come out to soon where are all the first party games? Nintendo your just living on hope. need to start pushing out the Gamecube stuff now, do that & you have my money. Cant see it happening though. The back catalogue is a nice bonus tho, but really wouldn't mind paying for it either individually or as a collection. This is the one thing they need, as without them, you're basically paying $20 annually to just play some NES games. I'd say voice chat too, but the Switch isn't capable of that because there's no way to do that with either the Joy Cons or Pro Controller. A messaging system would be nice too, but A.) You shouldn't have to pay for that, and B.) This console feature from 2006 and beyond should've probably been on a 2017 console. I’m one of those “month subscribers” 😛. And the only reason I got it was to fulfill all the challenges in Smash. How about voice chat support, a friends list, and some retro games that aren't borderline unplayable. I'm not really fussed with what they do with the service going forward. It doesn't offer a lot at the moment but it also doesn't cost a lot. As long as I can play my Switch games online without breaking the bank, I'm satisfied enough. He talks about people opting for one month plans like it's a good thing in terms of success. To me that suggests short-term customers buying to play Smash only. Not that I think the online service experiment matters for Nintendo's overall long term, it's ancillary money. 2. Free (inclusive) games that were actually from the last 10 years. 4. A library of digital games that can be used on the next console and keep forever. Nintendo is so so stupid. Add Snes already. Then n64, then cube, give us dates if they are not ready yet, so we can look forward to it. Not rocket science. The service for me personally has been...meh. I don't use the app and I didn't know there were old games I could play. Alienating your Western customers by giving Japan more content yet charging the same is a "great way to improve nintendo online on a yearly basis". I've tried getting into ALTTP but for some reason it never quite clicked for me. Which is weird, because ALBW is on my greatest games of all time list. If Nintendo really doesn't want to give in the relative big demand for the Virtual Console, then the least they can do is release more then the agonizing slow trickle of 2 retro games per month. They better introduce SNES games asap and at least 2 games retro games EVERY WEEK. For the people that think that I sound entitled; I don't play online games. Retro games are the only reason for me to subscribe to NSO and I prefer paying for Virtual Console games instead. Nintendo can make it much better by translating all their old Japanese games. Nintendo made about 500 million on mobile games. Use at most 3 million to translate all those games. Smash made me and my friends interested in playing those games. If Nintendo would make the Nes Netflix better by adding games from other consoles like GameCube,N64,Snes, + that would be awesome to have. At least the price was worth the value. They are so slow and painfully backwards when it comes to online services. If it wasn’t for online gameplay with my brother, there’s no way I’d pay for their crappy service. Even at $20 per year it’s not worth it. I don't play online so an online service for me is a waste of money. However I would like to back up my save data myself and have access to a (myself) curated VC collection of games I won't lose access to. "How often in your life did you lost game profiles and save games and if yes, how much did you care? IMO people do make too much noise about save game backups in relation to the chance that they really lose it or that they really care that much." I beg your pardon, but this is a strange position you're taking. I can backup my saves on my PS4, no problem. I could even backup my saves on a 3DS, tech from 2011. Accidents happen, things happen. I try to take good care of my stuff, but sometimes the tech just gives out too. If you think people don't care about their saves, just ask Brian Altano from IGN about it (before cloud saves existed). His Switch wasn't connecting to his TV, so he sent it in to Nintendo for a repair. The console came back completely wiped, even though on the phone, they said that wouldn't happen. 900 moons in Odyssey, gone. BotW game progress, gone. Splatoon 2 progress, gone. We're not talking about one game here, it was all his games. I listen to his podcast and he was clearly devastated cause he's a completionist when it comes to certain games. You can just say, get over it and play it again, but I find that a silly argument cause it doesn't have to be that way. It's one of those things that may not happen "often", but does not justify having zero options at your disposal in today's day and age. Sure there's cloud saves now, but it doesn't cover all games, and it's locked away behind a paywall (a small one, but still), when all other modern consoles let you physically backup your saves any time you want. For a modern console, the Switch game save setup is simply madness. Are you the same way about your computer backups too?? I mean, you could just re-type those lost docs. But Nintendo said, "Anytime, anywhere!" It'd be neat if Ninty added more consoles, or at least more NES games, yeah. But it's tickling to me the magnitude of silliness surrounding the idea that people are tired of old games. Didn't the 'Classic' consoles sell oodles because folks wanted to play old games? I’ve said for a while I think they’ll add a system per year, putting the price up each time. If that means they carry forward onto the successor to the Switch (and it’s possible as there’s an incentive for Nintendo I.e.to try and keep subscribers) I’m OK with that. They need to add much more in terms of communication as well though. It just isn’t good enough at the minute. Plus advertising Cloud Saves while not making them work in every game is lazy and slightly insulting. I get that they’ve tried an experiment, to see how little consumers will accept in return for their money. If why’re disappointed with the uptake thats actually good news for all of us. They’ll have to try harder. Boost the appeal on a yearly basis = in September we'll have SNES games, and in September 2020 maybe N64 ones. I don't expect Nintendo to start giving (digitally renting, I mean) SNES games soon. This could mean anything. Jeez, where could I start with ideas? Two come to mind: Offer exclusive cloud streaming for certain games and heavily increase the release of NES games and release other retro consoles like SNES, etc. Hmm would I like to see improvements for Nintendo online? Well yes but still always believed they start slow and on a yearly basis add more to the service. If PSN is $59.99, then Nintendo’s should be under $5. Giving me, a gamer who isn't much into playing games online, more incentive to use the service besides some "free" NES games (Wonderful as some of them are) and online backups (Which is nice, but it still bothers me that there isn't a local backup option) would help. I'm putting money on them offering N64, GCN and maybe Wii games via an online app to people who take out the 12 month memberships, plus exclusive DLC and exclusive offers for irl items similar to the NES Joy-Cons. Putting private data and working data on a computer in relation to game save files on a console and evaluating their importance is apples and oranges. @Mando44646 yeah, we want Wind Waker in the VC!!! @BanjoPickles Please don't offer to pay Nintendo more to fix the service. A price hike would affect more than just you. @jhess826 Release the entire catalog of games that are currently available on the Wii U and 3DS virtual consoles. Except the lack of a second screen. Could it improve? Yes. Absolutely. And I hope it does. Do I regret spending such a small amount of money for what we have right now? No. No regrets. So no DS games, then. GIVE ME EVERYTHING ELSE! I'm not interested in online gaming just retro consoles with amazing games. If they added snes, GBA, N64 with great support I'd gladly pay £30 a year for the privilege. @Kidfunkadelic83 don't want much for £12 do you? Expectations have become so overblown in gamers, if you love retro so much get on eBay and do it properly. Oh, it would impact me and everybody else, but you can't realistically expect them to give up their entire library of games--from 1985 to, say, 2005--for $20 a year, I would assume. No company is that generous, and Nintendo is, frankly, the least generous of them all (as much as I love them). You seriously think that the company that was charging $5 for a copy of Urban Champion as late as a couple of years ago is going to expand their library without a price hike? Even Netflix, upon inking a deal with Disney, started jacking their price up. Once Nintendo offers a servce on par with what MS and Sony are offering, they're well within their reason to up the price. The unfortunate truth is that $20 is nothing, and what we're currently getting is, sad as it may be, a bargain. I don't know why Nintendo didn't just rip off as much of Xbox live as they legally could and then make a tiered pricing plan with the different levels of retro games at different prices. They'd have made a fortune. @BanjoPickles They are ROMS and most people who want to play them have them downloaded already, legally or otherwise. How valuable are the NES ROMS to people who have the same ROMS on the NES Classic or the Virtual Console? Further, they aren't 'giving' them to us. They are part of a rental service and will go away without a membership or when Nintendo decides to remove them. @Medic_alert Expectations have become so overblown in gamers, if you love retro so much get on eBay and do it properly. You heard it here folks. Don't get NSO for the retro games, the right way to do it is to play the original carts. Wish they had a proper VC on switch, we are still buying GBA, SNES and N64 games on the Wii U. Still, it is their IP. Like I said, even Sony and MS aren't that generous to give away their libraries as an incentive. They're extraordinarily generous, but they're not giving away PS1, or Xbox games. Aren't you the same person who was begging for Nintendo to expand their VC library? That's essentially what they would be doing! With all due respect, you can't be so cheap as to think that $40 a year for access to everything from the NES to the Gamecube era, along with a more robust online infrastructure, isn't worth it, can you? Considering that they own the properties, I'm okay with them wanting to bank on them, if there is still profit to be made. @BanjoPickles VC and a rental service are not the same. @Crono1973 well that's one way to take my comment entirely out of context. The guy wants to pay £12 for access to two of the best libraries of games ever created. We'd all be there with him but any expectation of that is pretty unrealistic given previous pricing for these games. As for the second part, he said he wants retro consoles with amazing games well then he needs eBay and not NOS by far the better option for retro consoles even if it is more expensive! "Putting private data and working data on a computer in relation to game save files on a console and evaluating their importance is apples and oranges." True, one's an apple and one's an orange, but they're still both fruit. Maybe you don't care, and that's fine, but you should at least have the option to care. Game saves may not be as important as computer docs, but it still counts as time spent, and time is important to people, even if it's for the sake of entertainment. I just threw in the computer backup line cause it's so common place these days. You make something — you back it up somewhere, because hardware eventually fails. It's so commonplace that sometimes we don't even realize something was backed up. The same is to be expected for a game console, even if it's purely made for entertainment. You still spent the time playing. If I want to replay a game it should be because I want to, not cause my game save vanished. We are so blessed in the 21st century to have those types of options these days; except on a cloudless Nintendo Switch. @Medic_alert who mentioned anything for 12? I said I'd pay 30 without any online gaming. Why would I want to pay anymore for anything that nintendo online offers at the moment? It's a complete shower of sh#te when you compare it to what you get on the ps4. You pay a premium price for premium service and at the moment nintendo don't offer anything close to premium. Why would I go on eBay and do it properly? How many people have you seen sitting on a train,plane or any sort of commute playing a snes or n64? @Medic_alert I didn't even mention paying £12 at all. I stated I'd gladly pay more than they are currently charging to play well supported retro consoles. ...Wait that’s only 2 words. How about even GAMEBOY. ADVANCE. How about N. 64. How about GAME. CUBE. All 2 words. Nintendo need not look past 2 words to find their appeal. It appears they are merely 2 words shy of their goals. And we’re all a few systems shy of ours. Nintendo: "What if we release 4 NES games a month instead or 2 or 3? That should do the trick, right?" At the moment, though, those NES games are nothing more than a distraction for the $1.80 a month you're paying for them. I think that Nintendo realizes that they're not going to be able to get away with charging $5.00 for a fourth (!!) time, so it was either offer the same sort of unified account that Sony and MS are offering--which I doubt they'll ever do--or figure out another way. This was that other way. Trust me, I'm not the biggest fan of it, but I'm also realistic enough to know that they're probably not going to add SNES roms to the service without tacking onto the price, and N64-GC is simply out of the question without a major change to the pricing structure. @BanjoPickles They want to increase memberships, they won't do it by doubling the price, even if they add SNES games. Trust me, I think that if they offered the long-coveted list of Gamecube games, people would be willing to pay. At the moment, the majority of people I know who are unhappy aren't unhappy because they're being charged $20. No, they're unhappy because they're being offered next to nothing (I disagree, but that's me). If you offer them their entire history--even if it's through a glorified rental service--is not nothing, and people (I think) would be more inclined to pay AND feel like they're getting their money's worth. I’ve had it since launch and it’s bad and I don’t wanna write anything else. Following Nintendo nowadays feels like a perpetual 'we are preparing this'; 'we are preparing that'. Everything is in a constant state of flux and, when you look back on these times knowing what we don't at the moment, it will probably feel like they didn't really deliver. @Kidfunkadelic83 £18 current price add 2 game libraries and pay £30 therefore £12. You weren't clear about dispensing with the online portion you just said you didn't like online. Finally you said you liked retro consoles, you said nothing about portability and given that you now have I'd advise a ds lite for the Gameboy advance library either that or the pricier Gameboy micro and for SNES and Nes games with a few N64 ports thrown in try a new 3DS or 2DS. I'd recommend the XL though. @BanjoPickles We are a long way from Gamecube. Nintendo seems to avoid releasing Gamecube games. They skipped right over the Gamecube on the Wii U. They went from N64 to Wii on the Wii U VC. I agree, especially at $20 a year. The service would need to double in price, I believe, for Nintendo to even entertain the notion. Listen Nintendo, you can add 20 SNES games, 20 Gameboy games and 20 Gameboy Advance Games all at once and bam, the appeal is 10x bigger just like that. Also get more third party games like Castlevania and Final Fantasy and this service will be selling like hotcakes. We want the classic games Nintendo, gimme. Instead of a retro console they could just make a cheap Nintendo Switch Online and release more game the online service and that will do. Sticking solely with the idea of how to boost yearly subs vs. 1-month subs, they're going to have to do things that make it worthwhile to keep it active the whole year instead of just a burst or two of having it for one month. 1) Stop dropping content and modes from online multiplayer. If it's on local multiplayer, it needs to be online. The perfect example of this is the latest Mario Party; you've got this huge game rife with multiplayer content, and all you can do online is a handful of minigames at a time. Or Smash Bros.; can you do a Smashdown or Tournament or other cool and custom stuff online? No. Cutting content from online like this only serves to cut down the amount of time online play will hold an audience's interest. So if someone knows they're not going to be playing constantly throughout the year, then paying for the whole year isn't going to appeal to them. 2) Get the Classic catalog in gear. Having a slow drip of games that people are going to spend, maybe a few hours on tops, does not incentivize one to hold a constant subscription, but rather wait several months and then burst them all in a month. There needs to be a catalog with releases that have heft to them that people are excited to get I to month over month. Also, the online multiplayer for NES games needs to work. We have Smash Bros. and Mario Tennis and Mario Kart and all that running fine, but we can't keep Dr. Mario from being a laggy, glitchy mess when playing it with an online friend?! 3) There needs to be actual incentives for holding the sub open. This could be profile icons released every month and only available for that month that you need an active sub to claim, or points-per-month that you can use to buy special icons or home themes or whatever. I'm sure there are more and more to be said, but I think those three areas would have a significant impact on yearly vs. monthly subs if addressed. I think many of us are willing to be more patient on this service if in fact the Switch is here to stay for a longer turnover than the typical 5/6 year generation run. If Nintendo is taking time to build a service that will exist for the long-term with tiered pricing and won't reboot once another generation is released, then fine. It is shocking however, how some of their classic games post SNES are virtually unavailable for younger players or people who don't have a show-off game room with every legacy console hooked up. The retro gaming market is an inflated joke, pricing out many players. The music industry is shameless in its reissuing of albums on every format. While I don't want that approach, why can't Nintendo give us a cart or download of the NES or SNES classics (of their first party titles - I get there are rights issues at play)? Why not reissue classic games outside of the service? As video game history expands, it is absolutely crucial that "classics" or the "canon" is available to newer generations and games (beyond just the obvious Mario titles) aren't relegated to obscurity or piracy. Many of us are hoping this "silence" is Nintendo quietly listening and developing something special, however, as lack of Directs and engagement continues, it seems like more and more that there is no real plan and it's being made up on the fly. Which is disappointing. Part of the problem with the drip feed method, this time around, is that they're offering 2-3 games PER MONTH, as opposed to per week (remember, during the early days of the Wii, when we would get 3 games A WEEK?!) and the offerings have been extremely "meh." It's hard for me to get excited for Super Mario Bros. 2 and Kirby when they're both available on the NES Classic, just like Zelda 2, Zelda 1, Super Mario 1 and 2, and others. Since they're being offered monthly, I basically forget that they're even there. With the exception of two games (Wario's Woods and The Adventures of Lolo), there has been nothing that has excited me. I love River City Ransom, but I already have it on my 3DS! So, instead of having a "better luck next week" attitude, I move on to other Switch games, or the PS4. Nintendo has basically made the Switch online service so inessential that people are questioning their $1.80/month investment! That's pretty sad! Well since i bought the year subscription I have to be patient until September but if things don't improve drastically then I won't be renewing. You're asking to get more value out of less money. And as one saying in my country says, "you can't have both a full barrel (of wine) and a drunk wife at the same time". Baby steps: just getting more value out of what we've already spent would be enough. Kirby's Adventure is coming next week, and that game was already way ahead of its time when it came out; alongside Excitebike, it's the only 3D Classic I bought on 3DS because it already had what we'd call today "quality-of-life features". Besides, even if the service got a price drop, don't expect the money to fly all the way back to your wallet Wii Online Browser-style. I say we've paid for the minimal - yes, Reggie, I said minimal - development costs needed for SNES and beyond to work on Switch. The Wii had Super Mario Bros., World and 64 on it since day one. We're not asking for the moon. Between NSO and the Fighters "pay first, see the reveals later" Pass, we haven't merely bought stuff: we've made an investment. Here's hoping our money - and by proxy our faith - was in the right place, we don't want to see it all as a gamble! And the fact we're even talking about this could have been avoided if only we got a damned Direct. As much as I'd love to see GameCube games on the service I really don't see it happening. Nintendo could make much more money by offering remasters of classic GC titles, so that's likely what they end up doing. Even if they don't remaster them, they'd likely offer them as separate downloads like the Wii games on Wii U. GC games were never on VC, so they could offer them as a downloadable series, like Sega Ages are doing. Though knowing Nintendo they'll likely pretend the GameCube still doesn't exist outside of Smash controllers. I was thinking about Nintendo getting more user for the same development cost. If Nintendo works on a separate Classic Console that has a fix game setup it will have only so much sales value. If they make another way to get the cheap Nintendo Switch Online console all the game development cost will be divided over all users. I believe that is more profit in releasing games on the Nintendo Switch Online service that selling as a stand alone game. Let say for the argument that Nintendo Online has 6 million users. If half of the monthly income pays for the online service cost (likely as most games offer this as a free service), then the 3 million of the users are paying for the games. If Nintendo releases 3 "new" games each month, that would be that same as if each game sold 1 million copies at a pieces of 1,5 dollars per copy. That (in theory) 1,5 million dollars for a old NES or SNES game. Five new NES games a month and the ability to message friends and send photos. Not asking for much. That would also be an improvement then. One that makes sense, though, so no, I guess. Problem is that its REALLY bare bones...sure you get some NES games that most Nintendo fans have or can easily pirate and a poor online service. Compare that to what the competition has and yes XBLA is about £20 more but forget its a more worthwhile deal even then! A few great games for free a month that arent easily piratable (recent examples are Celeste and Assassin Creed Rogue for around 4 quid a month and lets not forget Games Pass that in February will offer remastered Arkham City and Asylum, tge redent Tomb Raider and ALL of Microsofts first party titkes the day they are released plus an an incredible wealth of classics from newer Wolfensten, Doom, Halo, For Honour, Graveyard Keeper, Terraria, Braid etc which you can just download and play) a extremely wellmaintain online service and extremely good exclusive members sales...i just got the excellence Titanfall 2 for less than a fiver...come on Nintendo you're stuck in the past! You make the best games but run the worst service. Even Sony have them beaten with what they offer. To be honest I think the service is pretty bad. There are still minor kart placement/animation consistency issues in Mario Kart 8 Deluxe and Smash Ultimate is still not worth playing online in my opinion. This is coming from someone that games online on PC and PS4, completely wireless, with fast speeds and zero ping issues. Nintendo needs to make its games perform better online. Aside from that, we don't have virtual console (I know it's dead) and only have access to a handful of NES games that most people don't care much about. Even worse, there is no way to voice chat through the system, no way to message people, no way to invite friends to games, no achievements, no communities, and no OS themes. For crying out loud, the XBOX 360 launched in 2005 and had more features than this. I love my Switch but its online infrastructure is pretty embarrassing. I'm glad to hear it's doing well but it doesn't surprise me to see people opting for short-term plans to test the waters or just play Smash online for a month. All that said... I did purchase the plan. Playing Mario Kart online is the only way I communicate with a couple of my best friends that live far away now so I thought it was worth the $20 considering that. I guess I'm a hypocrite haha. EDIT: If Nintendo ever raises the price I probably will never renew my subscription... they'd have to make it way more enticing of a value for me to bite more than $20. @Neoguardian86 Yeah the only way it could be worse is if they removed online play altogether and took away the NES games. Any other changes would be an improvement lol. I thought I’d be very excited to play NES games and it’s really not. Give us SNES and N64 games. I honestly don’t see a point in renewing my subscription with Nintendo unless drastic changes are made. Two games a month is too slow. The interface is getting to jumbled as well. @gortsi don’t address me, idiot. Scum who pays for a no-value service and talk down people about their money. You are not worth the electricity you used for posting that garbage comment. First of all, they never should've made online multiplayer part of the deal this generation. They pushed rolling it out for so long it became gating something we used to have. It's not even a huge loss for me, but it still cheeses me off. It's just not how you make friends. If there were signs of marked improvements to online play then I'd consider it a fair trade, but if it's there I haven't heard of it. In fact Splatoon's issues have been getting worse. Now then. If they really want to sweeten the deal; open up the VC library! Drip feeding made sense when VC was a side hustle in the store, but as a library you pay to access it'd be okay to throw down 30+ titles a month. Oh, and I keep referring to it as Virtual Console because it should preserve the stuff we enjoyed from VC. I have no idea if save states and such aren't already there, but such things should NEVER feel like a lesser of features we enjoyed in the past. @Mando44646 have you played N64 games recently? because 95% of them are garbage now. the controls and camera from early 3D games have aged worse than any other era of games. they aren't exactly unplayable, but it's as close as something can possibly get. N64 games are a novelty that would immediately get old. they wouldn't bring my big numbers of repeat customers. @Rect_Pola 30+ titles a month? so after a 6 months (at the very most, but realistically way sooner) they are completely out of possible NES games? be realistic. nintendo legally can't release every game for the NES. if you want them to give out 30+ games a month per system, they'd be out of games completely by the end of 2020. that's one of the least realistic suggestions i've ever seen. @shaneoh are you going to provide something for that $20? the ability for me to play games online? "free" games to play every month? because otherwise you are acting like an idiot. @Bliquid - cries about someone "talking down" to people. - calls someone scum for spending money how they want. can i also say...you aren't sure what "no-value" means. you get to play online for that $20. that is, in fact, value for people. They’ve certainly taken a strange approach. Launch the service undercooked, watch it fall short of expectations, and then respond by adding value later on. 1. A seamless, no-nonsense, native voice chat. That is the single most important feature missing on the switch online experience. Why would we need to use a phone and a separate app, wasting the battery and bandwith of them, when the switch can be perfectly capable of using voice inputs? (and for those wondering, the original ds online had integrated voice chat). 2. The eshop's UI is absolutely terrible. They need to create a proper app with more user friendly controls and searches instead of relying on a pseudo-app internet page that doesn't even have a backgeound music. 3. Highlight their greatest third party, indie and first party separately. Why? Because those games will be easily searchable and won't get buried in a few weeks after more games get released. 4. Stop with the NES re-re-re-re-releases. Seriously I'm tired of seeing the exact same NES games on every platform since the Wii. How about releasing more games from snes, n64 and even gba? Or how about hiring the creators of the dolphin emulator to finally make gamecube and wii games compatible with the switch? The first two subscription games are hangman and naughts & crosses. The current special deal is for a snarky email that only costs another $50. *Requires subscriber to go out and meet people to play games. @shaneoh so nothing. you want $20 to not actually do anything. this argument is always such a mind numbingly dumb response to "it's only $20". people are paying $20 to nintendo to play games online. giving you $20 isn't the same thing in any universe. As I said, the same as Nintendo. The mind numbingly dumb flaw in the "argument" that it's "only $20," is that they think that people have a problem with paying for online because they can't afford it. That's not the problem people have with it, and to think otherwise just indicates mental deficiency. Players are having to pay to access a service, that they themselves are mostly providing. The players are hosting the games, all Nintendo is doing is providing the matchmaking, the cost of which would be negligible, easily recouped through first and third party game sales. The cloud saves compelled me to sub. There’s just no way I’m going to risk all my save data to save $20 a year. Not happening. I care more about my save data than my pride and ego. But the truth is, I wouldn’t have subbed if it wasn’t for that (barring Monster Hunter Generations Ultimate, which I subbed to play online and would do it again if another one released). Get Vivox toolset incorporated into the OS and forget the phone app. It’s OK to still use the phone app, but as an additional, above-and-beyond accessory, not a mandatory function of the online infrastructure. So hurry up and get Vivox finished so games can implement voice chat in game. Then add some SNES and GBA, and maybe later down the line, N64. Do that and they will regularly entertain a 50% sub ratio every year going forward. Guys we have an account system in place so the VC should be crossbuy like psp/vita/PS3 where you could redownload all of your purchased classic content (purchased mind you so if you bought and paid for it you own them) and carry over to the switch and future generations. If you don't play online at all this service isn't going to give you any value even if it is cheap. My switch hasn't been online in 2 weeks. If I had subbed Id've lost access to the classic nes games even though I still have an active sub! VC pretty much guarantees me full and unhindered access to many classic games across multiple retro consoles which is a far better value than paying ridiculous (and at times questionable) retro game prices. $5 for little Samson? Deal! Castevania Legends for $3? Done! Tecmo Bowl? Not worth it at any price IMHO but for some yeah go for it. Adding even the most basic functionality to it might boost appeal. I can think of dozens of ways they could add value... And that is the problem. 1.let you message people you have played with or friends on your friends list. 2. Some type of feed like Xbox live where you can like or comment on people’s activities. 3.release a wireless headset so you can chat instead of using that lame chat app. On the subject of the nes games they have given us only a few I have played , dr Mario being one of them. I feel that some of the games are rather rubbish , Commodore 64 games were better with better graphics and music. Nintendo Online is a Joke. I'm not surprised one bit that users are opting for shorter plans. The short comings of their subscription service has been laid out by us gamers many times over. And this WILL blow up in their faces if they don't start handling it correctly. Working models are already out there, but Nintendo simply won't listen. They're being stubborn, just like they were in the N64 era (and it cost them too). Look, it's not exactly a secret that gamers are being put off by Nintendo's very feeble online features. We all know it's BAD. It's communicated everyday how BAD their service is. Anytime Nintendo wants to garner dislikes on their YouTube account, all they gotta do is talk about Nintendo Online and wait. As far as I'm concerned. Microsoft's Xbox LIVE is the only online subscription that matters. It's the only one that has any value to it. I wish Nintendo would take a long hard look at how Microsoft does it, instead of trying to convince us that they're going sooo above and beyond for us with cloud saves for SOME games, an online catalog of retro games that I do NOT give a damn about, and by giving us permission to play our games online (even though they host no dedicated servers for online play). You know what? It's worse than a joke. Nintendo Online is actually a SCAM. And I allowed myself to be scammed by not doing the trial first. Shame on me. Anyway, once my year long subscription finishes, I won't be renewing. Not even for a shorter plan. In fact, I have no plans to return unless I see massive improvements all around. Left unchecked, this practice will eventually hurt the sales momentum of the Switch. There is literally no reason for it to have such harsh online limitations. Is it wrong that I'm looking at all this online drama without batting an eyelid? I feel like I must be some sort of sociopath - hang on let me break something. Maybe I'm just not that serious about games. EMERGENCY! Nintendo has officially lost it with this service! Here's a thought. How about actually integrating voice chat with your console instead of a mobile phone. I only purchase online games for the PS4 since I can't easily chat with my friends on the switch. That would go a long way with me. The service needs a lot of improvements, there's no denying that, and I'm pretty sure that most of those improvement will come ever time. But the service, as it is right now, is in line with the price they are asking for. If it were more expensive I wouldn't subscribe, but for the price they ask now, what they're offering is good enough. Local backed up save data is a loophole for hacks and cheats on other platforms. So, I am not surprised that Nintendo doesn't offer this option, yet. Good to hear since as it stands I'm really seeing zero reason to bother renewing my subscription come September. @Bliquid are you triggered darling? Breathe. Relax. Go out and find some friends. The Switch online service needed to be something different when it launched, with a few NES titles each month (Japan gets 3, the West gets 2) so far, it doesn't seem anything different. The ability to message friends, and invite them to play games. It's standard with Xbox and PlayStation, why not Nintendo. Special offers as promised, and an updated reward scheme to reflect the Switch. Since I rarely ever played online, and simply don't really enjoy playing with random strangers (with AND without voice chat / direct communication), it all depended on the promised discounts and other offers. How about a standard VC again with offline always available purchases of games not everyone who's interested is so out of nostalgia (because they already played the games in the first place), using that money to fund "free" online servers, as it probably was before... Why would that seem like a less profitble or less consumer friendly business model? Id rather pick my own games out of a much wider variety of more recent games that I get to keep, and have a more basic, free online service in return for the free money they get for re-releasing old games. The Aussie emergency warning siren is something that I'll have nightmares about tonight. Thank you. Well, I am not interested in whats on offer at the moment and the phrase 'boost appeal' sounds desperate. I don't play games on line so for me any subscription has to have added benefits that would compensate for that. Or have separate subscriptions. Another thing. The complaint with previous consoles was that there was not enough games. The Switch now has loads of games (maybe not enough AAA ones) but loads of games. So by offering more games to download and play, will eventually reach overload. So offering a wider choice will reduce the sales of existing games. Indi and third party revenue will suffer. We all only have so much money and time to invest in games and that money and games may not increase revenue, but rather just spread it thinner. To boost the appeal we're going to... "Release two crappy NES games per month, that you've most likely played to death, even though we started with three per month" Great stuff Nintendo. Yeah, that’s no doubt the reason, but at the expense of running the platform for a year and a half with no way to back up anything. Prevents cheating sure, but at what cost for some unlucky people? Wouldn’t have been so bad if they had cloud saving right out of the gate, but they didn’t have that either — their solution was simply nothing. @chardir agreed. I myself opted for the 1yr plan but in hindsight I'm not sure that was the best decision. Going forward I'll probably opt for the 1 month plan unless nintendo gives me a reason to care about playing most of their online games. I mean you look at stuff like NSMBU Deluxe, Kirby Star Allies, and Super Mario Party and all of those games have no online modes (with SMP having limited online functionality). Most of the games nintendo has released in 2018 have had next to no online modes so it isn't too much of a surprise that NSO isn't being widely adopted. @coned I was drawing from the armloads of titles they release every week the store. It doesn't have to be a hard 30, but are you honestly content with 3? Moreover, there has been talk of them expanding to other systems so they have plenty of titles to work with. Adding Super Nintendo games will do the job. @AlexSora89 That's nothing. If you want nightmares, check out The Final Minutes. We waited over a year for this to launch and still turned out disappointing. Even at $20 it's still not worth it, just cancell this and bring back club nintendo. I'm pretty satisfied with what is offered for 20 bucks a year. Seems like an insane value. I really don't understand all the complaining. It always surprises me how many people feel so entitled as to demand truckloads of free software for what $20? $20 That goes to service the use of those servers used for online gaming, cloud saves of over a thousand games of 10s of millions of switch users potentially. Not only that though, you demand free or heavily discounted full price games! Games that are still selling very well. Why the hell would they do that? If third party games stepped up and offered Nintendo heavily discounted games to put on the service then great, but I can't imagine they'd be rushing to do that, unless sales have fallen off completely. May be that's where Nintendo hope to go with it. As I see it the service can only get better. Why dump the entire back catalogue on it in one go? Let's also not forget licensing. Especially with Sega, SNK and Capcom etc. releasing their own anthologies. Why would they want Nintendo to dilute that? Its not a simple process is it. For the price of the service atm. I think it's pretty fair for what it offers. Of course it can be better and offer more eventually. Seems like Nintendo are preparing to add to it so that's good surely? Wanting the online service purely to fill your pockets with free software and not for the use of online gaming or online cloud saves is just people wanting something for nothing. I think that's a pretty selfish and crappy reason imo. @GameOtaku Your sitchk is getting old already. I am getting tired of hearing you say the same thing in every article and I am pretty sure I am not alone on this. So please stop acting like a broken record about how much you hate NSO while some of us enjoy it and quit sprouting your conspircy theories about how you think Nintendo is holding our save files hostage or whatever nonsense you will sprout. No wonder it's failing. I would rather pay $120 per year for a game pass style service. That way online play stays free and Nintendo gets more money, everyone wins. I still haven't purchased this "service" (paywall) and this report has made me more confident in my decision. It's my opinion. You don't have to agree. But I have just as much right to speak my mind just as you do. I personally think your schtick is just as bad defending the service. @coned I have. Via Rare Replay on XBO. Also PS1 games via Vita, which are similar. @AlexSora89 That's what I'd thought you say. Am I really that predictable? My thought patterns are easy to pinpoint at times. Why are they so lost when it comes to Online services. It is very simple and I would even pay $60 a year if they implemented an actual virtual console. It would include games from every NES-GameCube. Two new games for each system monthly with some bonuses for other consoles here and there. They could even use the Online platform as an introduction to the games and push them onto a Virtual Market after a month and keep the price at $20. Knowing Nintendo they will release SNES games sparingly and only get to N64/GameCube towards the end of the console's life. Oh and make the eShop not garbage and chat built into the console. Very reasonable asks, so hire some coders or partner with Discord.